Susan B. Anthony called her the ideal business woman of whom she had dreamed fifty years earlier. Playwright Eugene O’Neill saw her as the symbol of greed and emasculating ambition. Kate Gleason, groundbreaking nineteenth-century industrialist, mechanical engineer, and real estate developer, was her own best invention. The truth of her dynamic life, in all of its complexity, is revealed in Janis Gleason’s biography of this legendary American woman. Over the course of two decades, Jan Gleason’s extensive research pertaining to the life of Kate Gleason has taken her from New York, to California, to South Carolina and over to France. She currently serves as Vice President of the Gleason Family Foundation and is a past Board President for the Rochester-based Writers and Books. Jan has received numerous awards for her contributions to the literary arts and civic organizations. A former student of the University of Arizona, Mrs. Gleason is married to James S. Gleason, the grand-nephew of Kate Gleason and Chairman of Gleason Corporation. The Gleasons reside in Greenbrae, California, and Cabo San Lucas, Mexico, and they have two daughters. Click here to read a review by Story Circle Book Reviews. "Kate Gleason was born into a world and a century that wasn’t ready for her confidence, courage, or competence, just like her friend and mentor, Susan B. Anthony. Kate was more than ready for the world. Plunge into the “Life and Letters” to journey with this remarkable woman whose life flows from the end of the Civil War to the early years of the Great Depression, from Rochester to France, and from California to South Carolina. You will emerge feeling energized and renewed by what one woman can accomplish." 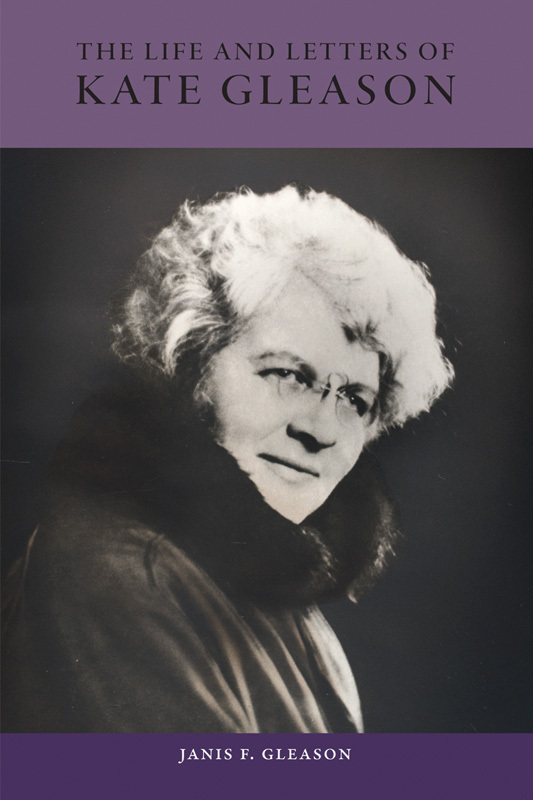 "Jan Gleason has provided an excellent, intimate and much needed biography of one of America’s leading feminists and pioneering business women of the early twentieth century. Greatly respected as an engineer and financier, Kate Gleason was also admired and beloved as a philanthropist on two continents. Students of South Carolina history will be particularly interested in her lasting legacy in the historic town of Beaufort." Monday - Friday 9:00 a.m. - 4:30 p.m.